Having spectacularly grabbed the Imperial throne by way of a very bloody coup, new emperor Otho is horrified to discover that there is an emperor already in place. His name is Aulus Vitellius and he is relaxing himself in Germania whilst his two generals, the twisted Valens and the handsome but dim Caecina, march two colossal armies to Rome to claim his prize. With negotiations between the two emperors becoming ever more entertainingly abusive, imperial secretary Epaphroditus has his work cut out trying to save Otho’s throne for him. Hopelessly outnumbered, all looks doomed until a series of unexpected victories give hope to the beleaguered secretary. With the eastern legions declared for Otho and en route to help, all they have to do is stop Valens’ and Caecina’s armies meeting. Otho’s regret is the third book in The Four Emperors series. You can read my reviews of book one and two by clicking the links below to open a new window. So after the events of the last book Otho is now emperor. Now while he doesn’t seem to be the most natural at the role he does ooze charisma, he’s fair and likeable which people notice.. the issue is he’s not going to get much of a chance to prove himself. Persuaded by his generals Vitellius decides he should be Emperor and they set out to take the throne by force if needs be. Vitellius and his generals have very different reasons for their actions and the author did a great job of breathing life into each of them and developing them as much as she did. The two generals Valens and Caecina have to be my favourite additions to the series so far. With armies on the march espionage is inevitable with both sides planting spies..the fun twist is there’s more than just two players in this tale…someone is lurking..someone has their own motivations to delay Valens and Caecina but you are kept waiting and wodering as the author builds this suspense keeping you hooked until the end. One person who has made this series stand out for me is Philo. He’s trying to move on with his life after everything has happened to him.. he’s a little out of the loop with events in the palace but soon gets sucked back in.. he even ends up playing his part in the war that is coming. I can honestly say I don’t think I’ll ever love a character as much as Philo. Epaphroditus surprised me this time around. I never really fell in love with him until now.. this tale shows a different edge to the character which I really enjoyed. Trafford effortlessly manages to make the tale light-hearted and fun (especially when Sporus is around) but at the same time develops the uncertainty and fears that are brewing.. Building the suspense so much your heart pounds until everything starts to tumble-down around Otho. I’ve had high expectations with The Four Emperors series which continues to deliver time and time again. It ticks all the right boxes for historical fiction. It’s descriptive but never too heavy, fun when needed but still deals with the serious side of events. What Trafford has done superbly is make history fun and exciting with the perfect mix of fact and fiction. It’s books like this that keep my love of reading burning strongly, always stoking the furnace..pushing me further, raising that bar which each installment. I can’t say I’m an expert.. I just know what I like.. and this book is a shining example of what a 5* star historical fiction book should be in my opinion. My thanks go to Karnac Books for the uncorrected proof copy for review..This will have pride of place on my book shelf. This entry was posted in Book Reviews, Historical Fiction and tagged Bloggers, Book club, Book Lovers, Book Reviews, BookBlog, Books, Galba, Historical Fiction, History, L.J. Trafford, Nero, Otho, Reading, Reading List, Reviews, Rome, Vitellius on July 10, 2017 by Bairdy1985. Rome 68 AD. Slaughtering hundreds of civilians at the gates of Rome is hardly the best introduction for new Emperor Galba to his city. However the aged ruler is determined to get on with clearing up the mess Nero left. Assisting him are his three men: Vinius, Laco and Icelus. Also in his entourage one Marcus Salvius Otho. Jovial, charming and fatally reckless Otho is armed with a killer idea: Wouldn’t it be marvellous if the childless Galba adopted him as his heir? Appointing old pal Epaphroditus as his campaign manager, Otho sets about winning hearts and minds in his own unique cheery way. For Epaphroditus it is a harmless way of enlivening his post Nero retirement; either Galba makes Otho his heir, or he doesn’t. What could possibly go wrong? For once the former Palace manipulator has fatally miscalculated. These are paranoid times and Otho’s ‘harmless’ plan is about to bring Rome to its knees. 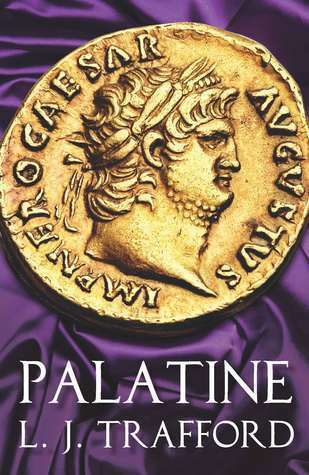 So this book follows directly on from Palatine the first book in The Four Emperors Series by L. J. Trafford. If you haven’t read the first book I highly recommend you do as this is a brilliant tale which deserves to be read. Reading about Galba’s downfall was very gripping but was outshined by one character as with the first instalment.. Philo! The author continues his tale of woe at the hands of Straton just when he hopes his life is on the up. There is so much development for this character during this tale and I think it helped that Galba’s reign was short as it left time in this novel to develop characters like Philo but also Alex, Mina, Sporus & Straton. They all have their part in this story no matter how little. With so many good characters to use the author had no trouble switching perspectives to allow other’s tales to continue and it was this back and forth that made it all the more gripping as you never had the chance to get bored of a character and you just had to get back to them to see what happened next. Essentially the end of this book is a repeat of the first instalment.. the emperor is overthrown and it’s bloody, but the author still managed to make the tale fresh and interesting as the build-up is very different and Nero and Galba couldn’t be more different if they tried. Added shock factor was introduced when the author killed off a few characters. I won’t spoil it by saying who but I did make a little note with a sad face each times. I think the best thing about L.J. Trafford’s work is how seamlessly she can fit real facts and fiction together so neatly.. nothing feels out of place at all. We were also introduced to some new characters in this novel. My favourite being Otho who came across as a happy go lucky kind of guy who does things on a whim which is dangerous but very entertaining..his tale will continue in the next book in the series.. I can’t wait for that! For me this is a shining example of what historical fiction is for me..and I couldn’t fault it. This was my most anticipated book this year and it’s definitely been my favourite read so far. To me, these are the kinds of tales that make reading as fun as it is. I’ve already said this but I think it deserves to be brought up again.. Philo.. he outshines this whole series for me and I could read anything with him in it. Such a good character and I hope we see more of him. My thanks go to the author and Karnac Books for the review copy. If you’d like to buy the book but haven’t read the first installment head to Karnac Books who have a great offer on where you can buy this book and get book 1 at half price. 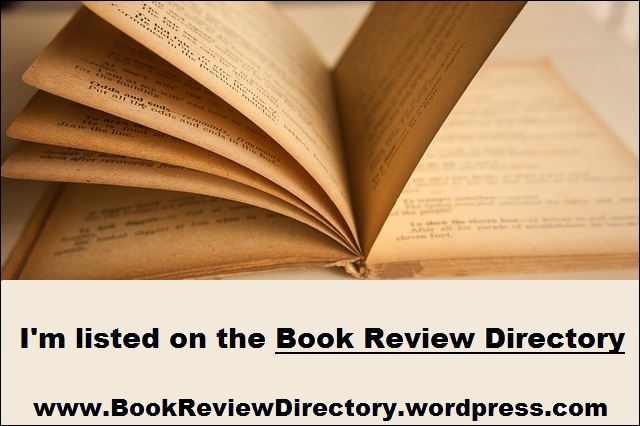 This entry was posted in Book Reviews, Historical Fiction and tagged Authors, Book club, BookBlog, Ebooks, Galba, Historical Fiction, Kindle, L.J. Trafford, Nero, Otho, Reading, Rome on July 11, 2016 by Bairdy1985.